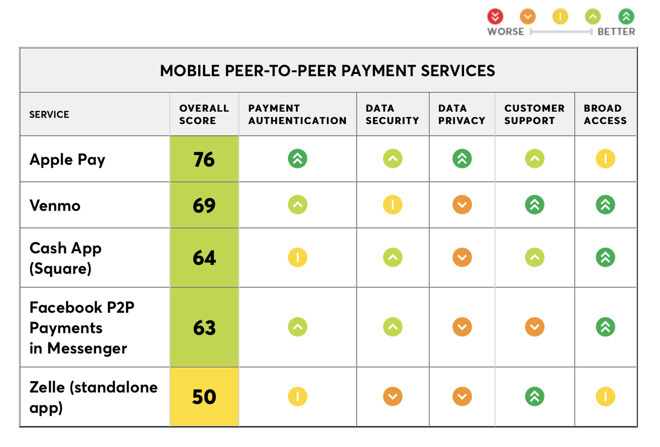 The Consumer Reports comparison pitted Apple Pay Cash against Zella, Square Cash, Venmo and Facebook (via the Messages app), weighing security, privacy, support, and more in the process. After the results were in, Consumer Reports said "Apple's overall rating was significantly higher than for the other services," making it the clear winner. The publication found Apple Pay Cash earned the highest marks for security and privacy, both key considerations in a payments product. Apple's biggest demerit was the lack of broad availability — the service is iOS and watchOS only and requires relatively new hardware for biometric authentication and secure credential storage. As non-Apple users are unable to use Apple Pay Cash, Consumer Reports notes Square Cash, Venmo and Facebook were decent performers, though each earned only fair scores when it came to data privacy. "We're trying to help people make informed choices and think about safety elements they might not have previously," says Justin Brookman, Consumer Reports director of consumer privacy and technology. The "broad access" hit drops Apple Pay's score down to a 76, which is still far above the cross platform Venmo, Square Cash and Facebook that earned 69, 64 and 63, respectively. "Our ratings focus on how well the services authenticate payments to prevent fraud and error, secure user data, and protect privacy, but we also looked at the quality of customer support, how clearly they disclose fees, and whether users are bound by mandatory arbitration, among other factors," says Consumer Reports. There has been a lot of debate surrounding mobile P2P payments recently, with Venmo taking flak for a general lack of privacy features. While customers can easily turn off the social aspect of Venmo, they often don't and a shocking amount of information can be gleaned from analyzing the public information. Zelle took quite the hit for its lack of protection against accidental payments. Just typing in a wrong phone number by a single digit can see your money sent to the wrong person, though a Zelle spokesperson said this will be changed in an upcoming update. Mobile payments have seen quite the uptick with eMarketer reporting a 24 percent increase this year in the number of consumers using mobile P2P payments, reaching 79 million total users. When looking at "OEM pay" marketing — platforms such as Apple Pay, Google Pay and Samsung Pay — users could hit 450 million users by 2020, though the figure does not include P2P payments, according to Juniper Research. Initially scheduled for release with iOS 11 last September, Apple Pay Cash was delayed by more than two months before it arrived on U.S. iPhone, iPad and Apple Watch devices in December. During Apple's recent Q2 earnings report, CEO Tim Cook mentioned the overall success of Apple Pay, which will be rolling out to both CVS and Seven-Eleven later this year as well as Germany. 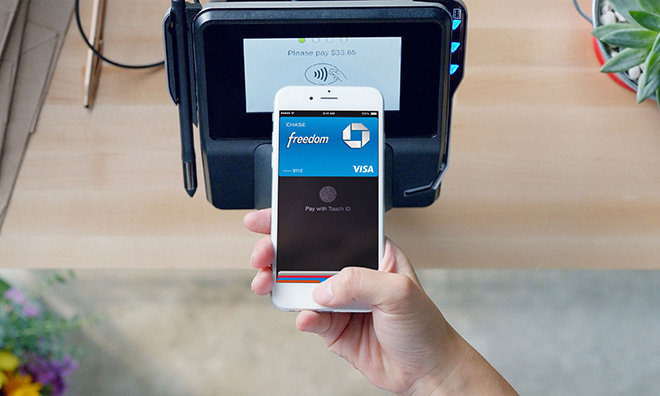 For Apple, Apple Pay is big business. It is part of their "Services" category of revenue which saw a 31 percent increase this year, raking in 9.5 billion per the quarter.